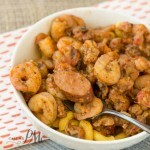 A quick Shrimp and Grits recipe for weekday meals. 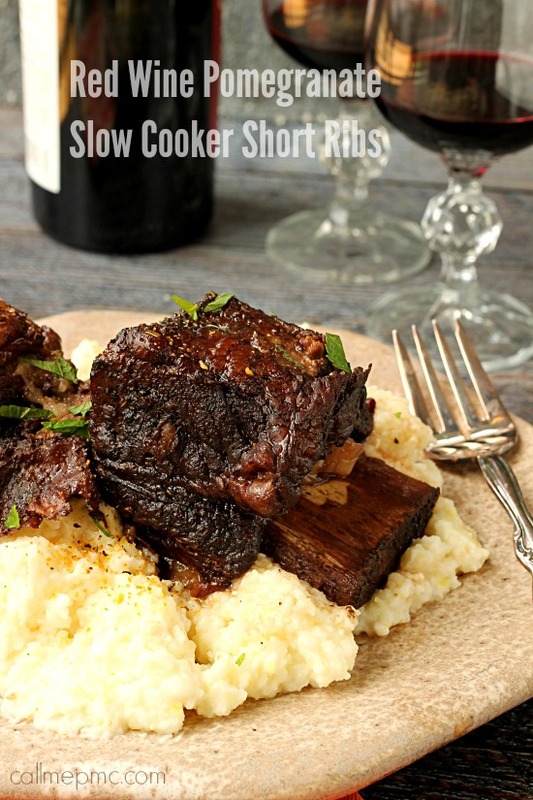 This simple dinner idea is full of flavor. 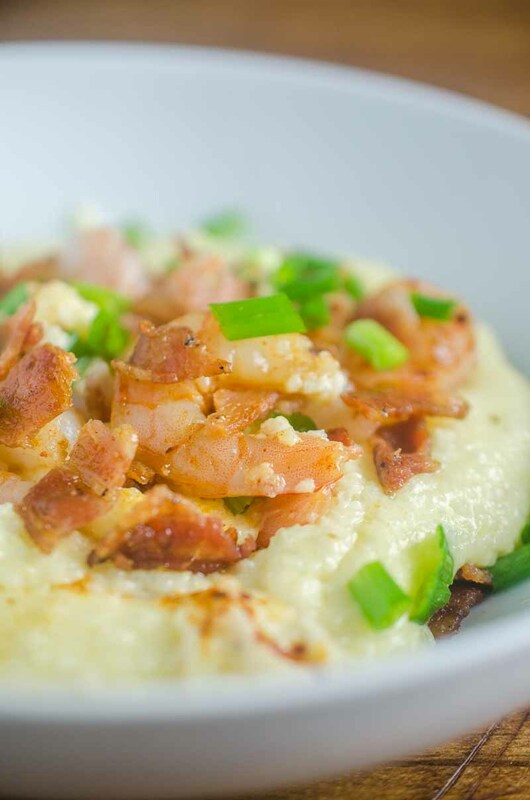 The grits are smooth, creamy and buttery. This shrimp and spicy and tender. A sprinkle of bacon gives this dish a smokey and salty flare. 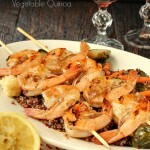 Did you also know along with being low in fat, shrimp provides key nutrients? Aside from protein, shrimp provides an impressive array of nutrients. Four ounces steamed shrimp contains over 100% of the Daily Value for selenium, as well as vitamin B12, phosphorous, choline, copper, and iodine. 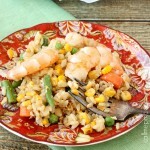 For this recipe, you will need one pound of raw shrimp. Click over and watch my tutorial on how to peel and devein shrimp. 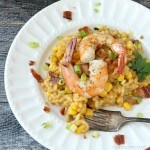 Creamy, cheesy, and buttery grits are topped with tender shrimp and salty bacon in this easy weekday dinner recipe. Boil shrimp 90 seconds to 1 minute or until done. (Perfectly cooked shrimp curl to form a 'C'. Overcooked shrimp form an 'O'.) peel, sprinkle with red pepper and paprika and set aside. Bring broth, cream, butter and the salt to a boil. Stir in the grits and reduce heat to medium. Cook, whisking 7 to 8 minutes. Stir in cheese and garlic, cook 1 minute or until cheese is melted. 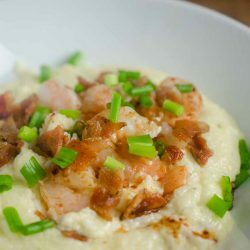 Spoon the grits into bowls and top with shrimp, bacon, and green onions. Menu options: Serve with green salad and toasted French bread. 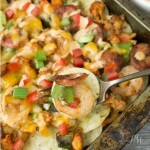 Paula, I’m going to make this soon for sure! I love shrimp AND grits but have never put them together. Yum! Oh, my, this sounds delish! 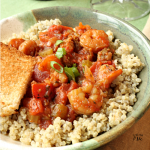 Had the best grist ever at a B&B in Vicksburg, MS – I bet this recipe will beat it! Thank you! I was trying to remember what B&B I stayed in at Vicksburg, but I can’t.